There's too much year left to name Vudu Spark the worst gadget of 2015. But it will without question go down as the most cynical. 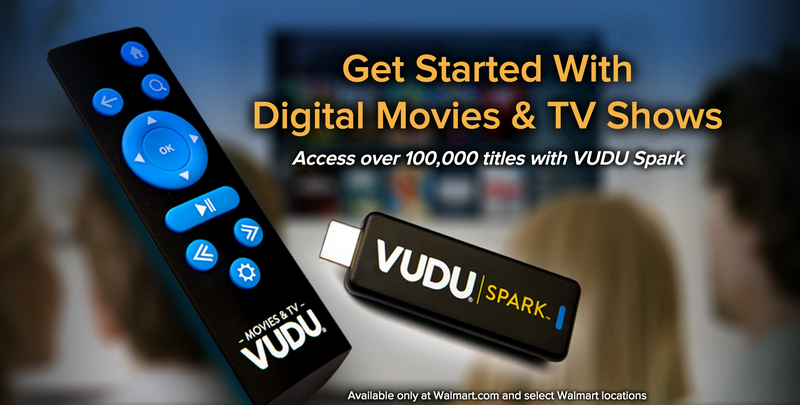 The Vudu Spark, for those blessed with not yet being familiar, is a streaming dongle sold by Walmart that literally only streams movies and TV shows from Vudu, a streaming service owned by Walmart. It's true! You're thinking that many parts of that sentence can't possibly be true, but all of it is. Put another way, it's like a Roku Stick that arbitrarily denied you access to Netflix, Hulu Plus, HBO Go, or any of the other reasons you might actually own a Roku Stick. And another: Owning dedicated Vudu hardware is sort of like buying a smartphone whose only available app is Flappy Bird, and a lot like a big box corporation banking heavily on its customers not knowing any better. This is not a knock on Vudu itself, which as far as streaming movie and TV show rentals is... fine? It's fine. But for Walmart to sell a $25 dongle to its customers that can do nothing but Vudu (no really, check the user manual), when there are $35 and $50 options that can access Vudu and also literally thousands of other sources of entertainment? When Vudu itself is already available on 64 Blu-ray players, 131 HDTVs, four consoles (sorry, Wii U), and 39 other streaming dongles and boxes and so on, for a grand total of 238 previously existing ways to get your Vudu fix? All of which also allow you a healthy variety of other entertainments as well.